Each play mat has dedicated spaces for player decks, discard piles, and stalls for 2 players in addition to market deck, the market and junk pile. You can decide to place the market board on top of the mat or play without one. The mat has spots and additional values for the cards in the market too. 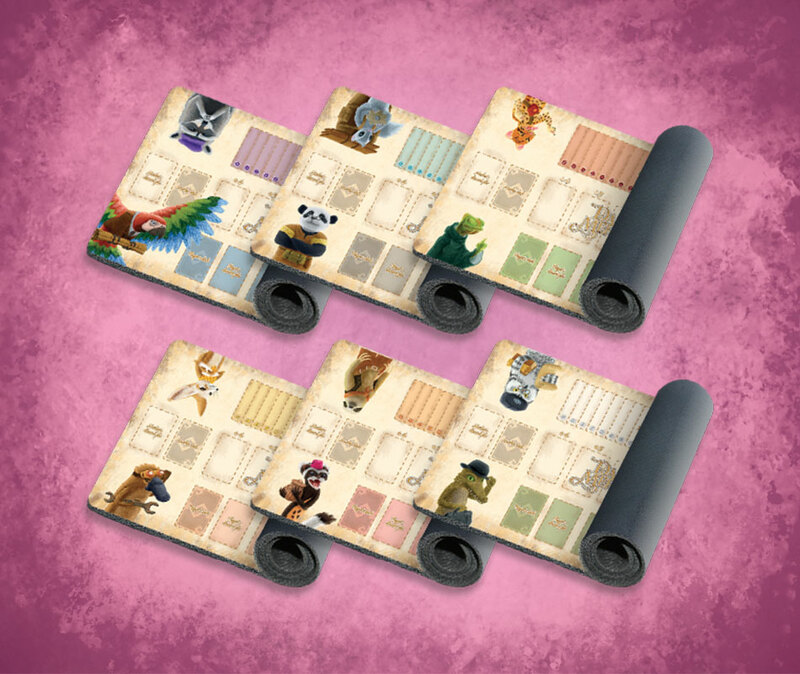 While the play mats are designed specifically for 2 players, you can definitely use them with 3 or 4 too. Some players would simply not have dedicated spots for their cards.